Brides – Add this date to your calendar now! The Tampa Bridal Showcase will be held Sunday, October 14, 2012 at the A La Carte Pavilion from 1-4 p.m. in Tampa. 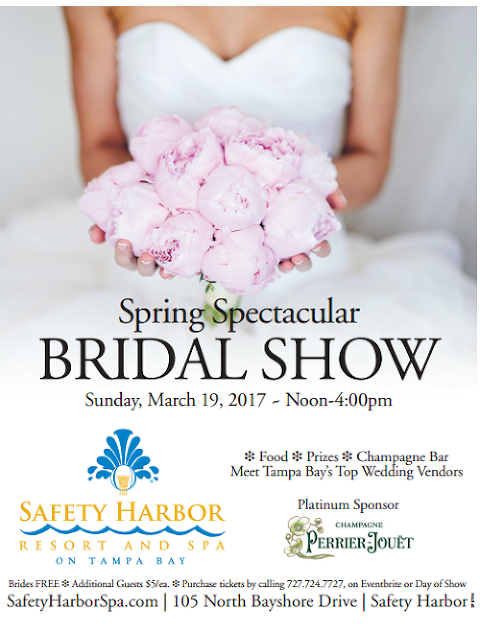 Come see the best of the best wedding vendors! Register by October 13 and receive free admission or pay $5 at the door…. The Westshore Hilton Garden Inn is hosting a Bridal Open House this Sunday from 1-4 p.m. Just minutes from the Tampa Airport, the Garden Inn is a perfect location for out-of-town guests. Enjoy complimentary hors d’oeuvres and free champagne at one of Westshore’s newest hotels! Admission is free if you RSVP. Come one, come all! The Great Bridal Expo is this weekend at the Convention Center in Downtown Tampa. Click here for a list a vendors. Tickets are $10, but I did some digging and found free tickets for MMTB readers. (You can thank me with a nice comment). Enjoy!